These days, you can’t turn on the TV without seeing a commercial for a home improvement store. And the commercials make it seem so easy: If you don’t like something about your house, a trip to the hardware store and an afternoon in your paint clothes should do the trick. After watching one of those commercials, you might end up getting the itch for a new paint color or to finally build the deck you’ve always wanted. My husband and I built our own home in 2006 – the only things we hired out for were the foundation, plumbing, and the roofing. However, we found that the DIY learning curve was pretty steep. We soon learned what we could do ourselves, as well as what needed to be left to the pros. 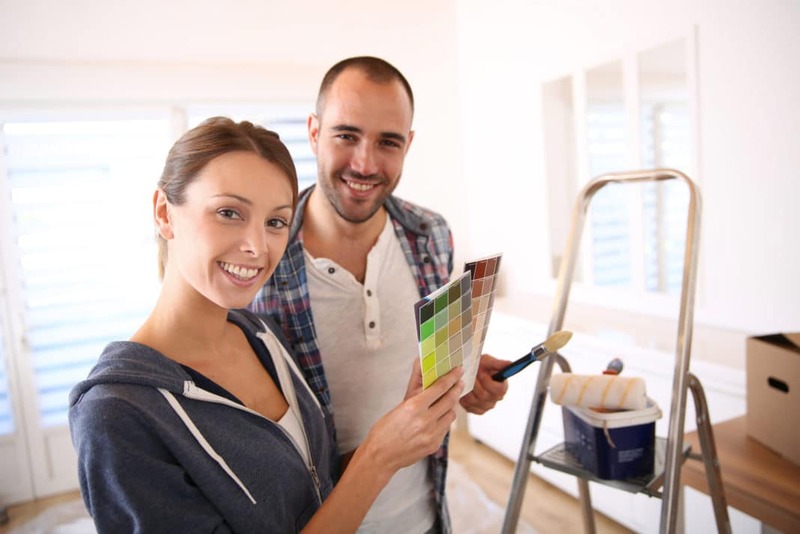 While it’s true that some DIY projects (such as painting) can be done by many novices, some undertakings can actually cost you more money than if you were to hire a professional to do the work. Plus, there are certain jobs that may just be too dangerous to do without the aid of an experienced pro. So before you grab a hammer and table saw, you need to weigh the true costs of that supposedly cheap DIY project. This should be your first concern before you tackle that “simple” project on your own. What seems like an easy fix could leave you scratching your head. Of course, only you know what you’re comfortable with and which DIY projects are in your wheelhouse. You can weigh out the costs of using a pro versus buying specialized tools to try and DIY the project yourself. In some cases, it actually might be cheaper to hire a contractor who already has the tools and supplies on-hand. Structural Changes. Dying to add an addition onto your garage? Talk to a contractor. There may be permits required, as well as utilizing the current home structure to ensure that your addition is structurally sound. Consider an addition a completely new structure: You probably wouldn’t build your own house without help, so don’t try and add anything to your home without it either. Electrical. Electrical work means wiring, and wiring can be dangerous. Electrical work should be done by a licensed electrician only. Plumbing. Older houses can have damaged pipes, while new houses require yards and yards of new plumbing. It’s definitely not a task for amateurs, and should only be done by a licensed plumber. If you try to do it yourself, you could find yourself in need of an expensive overhaul. Roofing. Even if heights don’t bother you, attempting to patch or replace your own roof without the safety gear used by experienced roofing contractors could result in severe injuries. Replacing Windows. Contractors use specialized tools to remove old windows and replace them with more efficient materials. Your window replacement project might also mean working at heights, which can be dangerous without safety gear. Attempting a DIY project that is dangerous or that you don’t understand or have the proper tools for can result in an expensive disaster. In that case, you’re not only out the money for supplies – you’ll have to pay a pro to redo it as well. It’s best to start by gathering at least three estimates for each component and choosing a professional contractor who is experienced and reasonably priced. Think adding a new deck is no big deal? In some cities, it’s a serious offense if you do so without a permit. Always visit your city office building and ask about whether you’ll need a building permit for your project. The actual department you need to visit varies widely based on the size of your city – some have dedicated building departments, while others combine permits with development services. Either way, the front desk at your city office building should be able to direct you. You should always inquire about the necessary building permits before you start a DIY project – even if you think the project is just a small upgrade. While cities don’t care if you paint your living room, they might take issue with you renovating your bathroom, building an addition, changing your plumbing and electrical, or otherwise upgrading your home. If you get caught doing work without the proper permits onsite, three things are likely to happen. First, the city will order you to cease working, slowing you down and leaving you living in a construction zone. Second, the city can actually order the completed work to be removed from the house. For example, plumbing might be ripped out, as ordered by the city. Finally, you may be hit with huge fines for trying to DIY sans permits. All of these cost time and money. And, lest you think your city is just trying to take money from you, keep in mind that permits ensure that the proper prep work and engineering has been done to undertake your renovation safely and according to proper building codes. The permits cost money, but they ensure that your construction project will be done properly. If you’re using a contractor, he or she may obtain the permits for you. However, don’t assume – it’s always worth having a discussion to ensure that your contractor is, in fact, procuring the permits. The cost for your remodel or DIY project starts with the local rates. For instance, the cost of a kitchen makeover in Oregon differs greatly from the same work in Washington, D.C. The website Houzz has an excellent tool available: Real Remodeling Cost Calculator. By inputting your location, along with the type of home improvement you’re tackling, the calculator can give you a better idea of what you can expect to spend on supplies and contractors locally. This can give you a great starting place to calculate exactly how much your project will cost. But the supplies and contractor work won’t be the only cost, especially if you choose to DIY. You also need to consider your own time and effort. If you’re going to miss work to get the job done, you’ll also need to add in missed wages. For instance, if you make $60 an hour and your contractor only charges $40 to work on your renovation, it might be smarter to hire the job out, rather than taking up your own time. Ultimately, you should have a clear idea of exactly what your DIY project will cost you. Price out all of the materials, add in your own costs as though you were paying yourself, and contrast that to hiring a contractor to see if the project is really worth your time, money, and effort. When you don’t plan properly, last-minute purchases and expensive fixes can quickly eat up that DIY budget. Case in point: A few years ago, my husband and I decided to stain our log home’s exterior. We knew it would take a lot of stain, so we made a ballpark estimate of how much we needed and waited until the hardware store had a great promotion: $20 off each $80 bucket of stain. Unfortunately, our “estimates” weren’t accurate, and we eventually ran out of stain. We ended up having to buy at least four buckets of stain at full price to make up the difference, setting us back not only the additional $320 on the necessary stain, but causing us to miss out on $80 in savings after the promotion ended. Instead of eyeballing what we needed, my husband and I should have learned exactly how much surface area each bucket of stain would cover, and then measured our exterior walls to get a better picture of how much we’d need. Without the proper preparation of measuring, planning, and comparison shopping, you could end up paying a lot more for something that was supposed to be a frugal alternative. Poor planning can cause you to either under-buy your supplies, or overbuy what you need – both pricey mistakes. And, since most hardware stores don’t always accept returns on building materials (especially paint), you could be stuck with an expensive surplus. Educating yourself before your start your DIY project can make all the difference. When you feel confident in your abilities and fully understand the proper steps to get the job done, you can spend less money and, hopefully, completely avoid mistakes. Home Centers. Home Depot offers free workshops and classes at least once per week. Check in-store or online for class topics and times for a free way to brush up on your skills. Community Centers. Low-cost and free classes are often offered to community members in a variety of topics, including DIY and home improvement. Local Nurseries. Hoping to learn more about landscaping? Nurseries and landscaping design centers often host tutorials and Q&A sessions for customers to help you learn more about landscaping for your climate and area. Handy Friends. If you have someone in your life that is handy, ask for a few tips and tricks before you start your project to take advantage of his or her knowledge base. While online tutorials are great to help guide you when it comes to things like decor, paint treatments, and basic improvements, a YouTube video shouldn’t be an alternative to live, interactive instruction and demonstration. I still remember the awful feeling I had when my husband called me from our home job site and told me he’d put a nail through his hand with the nail gun. While my husband is a pretty capable builder, the nail had hit a knot in the wood and shot back up. Ultimately, he was fine. But as we sat in the emergency room, it reminded me of the importance of putting safety first – especially when it comes to building. It’s impossible to predict some of the freak accidents that can affect DIYers while working on a project. That’s why safety should be your primary concern when prepping for and working on a project. Check Your Homeowners’ Insurance. If working at a new home site, The American Institute of Certified Public Accountants notes that a new construction policy should cover any injuries sustained by family or friends that come to help. If you’ve hired a contractor, make sure the contractor carries policies for both workers’ compensation and contractor’s liability insurance to protect you in case of injury on the site. Your homeowners’ insurance policy also likely covers individuals who are hurt on your property – say, a friend who gets hurt while helping you with your project. Unfortunately, it’s unlikely that your policy covers you, as the homeowner, according to The Law Dictionary. You assume the risk for a DIY, even if your policy helps pay for medical expenses incurred as a result of an injury to another person on your properly. Read the Instructions. Whether using new tools or trying out a new form of paint, always read the instructions before you start. Not only can improper usage of tools result in injury, but fumes from certain materials can also be dangerous. Make sure you understand new tools and materials before you go to work. Wear Protective Clothing and Glasses. Your head and eyes are especially susceptible to injury, so make sure that you wear eye protection and a hard hat anytime you’re working with tools. You should also wear gloves and proper footwear, as well as proper harnessing when working at heights. The National Safety Council warns that falls account for 26% of home injury deaths, so avoid working at heights or on ladders without a spotter, proper harnessing, and solid footing. Have First Aid on Hand. All job sites – no matter how small – should have first aid nearby. A simple kit with ointment, gauze, bandages, and eye wash can take care of minor injuries that can happen when DIYing your home improvement project. Keep a Cell Phone Nearby. It can be tempting to work on your DIY project solo, but if you do so, make sure you have access to a cell phone so you’re not completely alone. Working on our own home meant many late nights and taking turns at the job site. A cell phone is a must for any job – that way, if there is an injury, the injured person can call for help quickly. Some safety measures can seem like overkill, but remember that even small jobs can result in big injuries. While installing insulation – without proper eyewear – my husband ended up with a glass fiber from the insulation in his eye. It required surgical removal, and the takeaway was clear: Always put safety first, even if your DIY job seems small and simple. Doing projects on your own can definitely save you money, especially if you have the know-how. But going into the project without being properly prepared can result in a pricey overhaul. Your once-frugal project can turn into an expensive disaster if you’re not careful, so make sure you do your homework and take your time. Have you ever had a DIY project go south? What additional tips can you suggest?